Awaken springtime feelings with the latest collection for Artdeco - Love Is In The Air - which promises to add playful cheerfulness and lightness to any look! Beauty Box Quattro - $14 - in a new and limited edition design that you can fill with the spring worthy Eyeshadows - $8 - including: No 253 Emerald - dark green; No 251 Faded Line - light lime; No 275 Lavender - gentle lilac; and No 273 Violet - modern purple. Eye Designer Applicator - $16 - offer a practical alternative to traditional eye makeup and can be filled with one of the new Eye Designer Refill - $12 - in No 57 Emerald and No 70 Lavender. Soft Eye Liner Waterproof - $11- in No 63 Emerald and No 91 Violet. All In One Mascara - $22 - plays matchy-matchy with the eyeshadow tones with No 11 Emerald and No 04 Blue Violet. 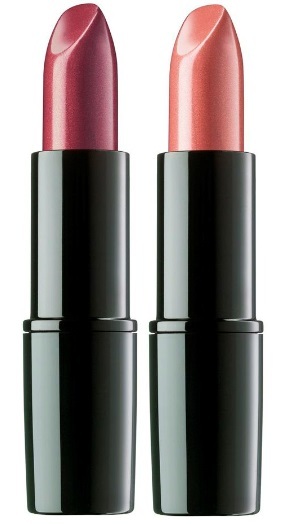 Art Couture Lipstick - $22 - in No 671 Velvet First Kiss and No 667 Velvet Natural Beauty. Available early March at select Shoppers Drug Mart locations. 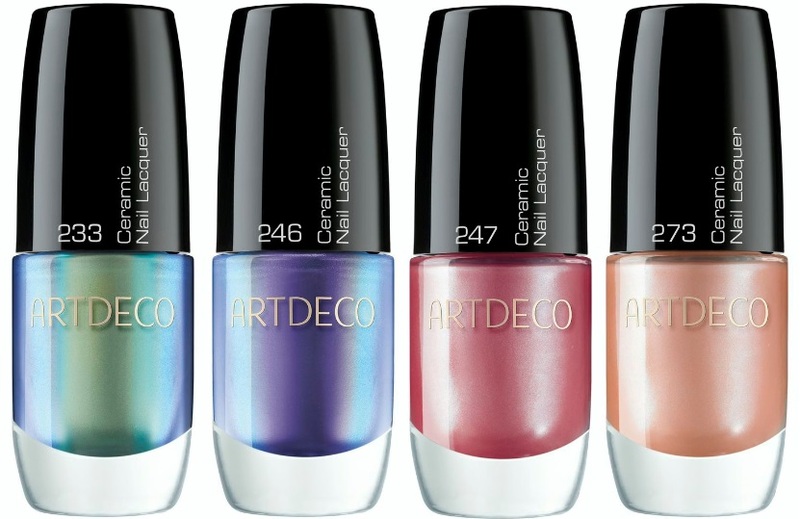 The Ceramic Nail Lacquers look so pretty and I think I now need the lip glosses! Hi Ladies! where we can buy Artdeco products in Canada? thanks! It's right there at the bottom of the post - selected Shoppers Drug Mart stores!